When I can’t figure it out? I LOVE this song by Lauren Daigle! It is that windows down, sing at the top of my lungs kind of song. The kind of song that reminds you that no matter what life is throwing at you right now, LOOK UP! God is still on His throne and He is still in control. I remember the dark days of trying to deal with my own emotional baggage from a failed marriage and still try to take care of five kids without messing them up to much. I remember the pain and anger of lost dreams and living a reality of poverty and struggling alone. I remember the days of doubting myself as a mom and not knowing if I would ever get it right. I know that you have your own story, your own single mom journey, that you are struggling through. Maybe you are wondering how you will ever get through it. Whatever you are going through today, LOOK UP CHILD! 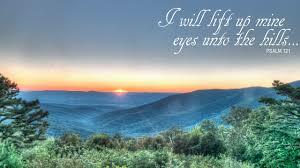 Lift your eyes unto the hills! Your help comes from the Lord and if He made the heavens and the earth, He can certainly help you in your situation today. When the world comes against you, LOOK UP CHILD! When you don’t know how you will pay your bills, LOOK UP CHILD! When you are facing a custody case and could lose your kids, LOOK UP CHILD! When you are desperate for answers, LOOK UP CHILD! You are NOT alone in your struggle single mom! Let me know if I can pray for you or walk with you through your journey. You are never alone! I have spent 18 years as a single mom. That is more than twice the amount of time that I was married. There have been good times, as well as, bad times. There have been moments when I felt like I was nailing this single mom thing and then there have been times when I knew without a doubt that my kids would need some serious counseling because of me. My kids aren’t kids any more. They are adults who are growing into their own lives. My youngest, Ty has 11 months until he is 18. It is a bitter sweet moment for me. I’m not going to lie, I have had moments when I wished my kid’s childhoods away. Times when I thought that life would be so much easier if they were all grown up. Have I done enough to get them through the challenges that they will face in life? I hope so. I tried. I have always made them my priority. Amid the failures, God has blessed me by being ever present in this single parent journey. I wanted to mark this bittersweet moment by reflecting on the lessons that I have learned as a single mom. I Have Learned How To Pray – Through the ups, downs, tears, tantrums (not just from the kids! ), joys, sorrows, anger and overwhelming love, God has taught me to pray. Not just the run of the mill prayer list prayers, but deep, heart wrenching, conversational prayers that has drawn me closer to God. I have learned to listen to that soft whisper of the Holy Spirit. Prayer is everything. Prayer is the number one thing that draws us to the heart of God. As a single mom, prayer has truly become my life-line. I Have Learned To Have Faith – God has shown me many, many times that HE LOVES ME! God has also shown me that HE LOVES MY KIDS! He has answered prayer after prayer (some spoken, some unspoken) and He has provided for us in ways that are truly miracles to me. At times when I felt like I was at the end of my rope, God was there for me. There were many times when I felt God’s presence comforting me, wrapping me in that peace that only God can give us. I will admit that there are times when my faith wavers, but God knows my heart. My faith in God is what keeps me going when I want to give up. I Have Learned Life Lessons From My Kids – I have learned so many lessons from my kids as they have grown and matured into responsible, compassionate, loving adults. They never cease to amaze me. They have had their bumps, but they always bounce back and as I watch them become adults, I gain wisdom for my own journey. Click HERE to read a series of posts I wrote on lessons I have learned from my kids. I Have Learned That They Are All Different – As they have grown into adults, I have learned that my kids are all different. Once upon a time I thought that they would ALL go to college/tech school, have great careers and live a happy life. I have learned that life and purpose are not one size fits all. They have each taken different routes, as far as, school and work. They each have different passions, strengths and weaknesses. The other part of the lesson for me has been to allow them each to figure things out for themselves. I give advice, but ultimately they have to figure out what is right for them. So, I encourage them each to do what only they can do. I Have Learned That Quality Time Can Be Simple – When the kids were little, we ate dinner at the table. We would share how our days were, share positive insights about each other and laugh much. We would go to the park and have picnics. At times, simply being together was enough. We didn’t have to be doing anything exciting or expensive, sharing life seemed to be enough. I Have Learned That I Am An Example Of Jesus To My Kids – It took me forever to get it through my head that I am a role model for my kids. I am that person that they will emulate. I am that person that they will get their values from. I behaved badly in the first few years. I was wracked with anger, bitterness and overwhelming hopelessness. No excuses though. I was setting a horrible example for them. Thanks to my friend, the Holy Spirit, I finally figured it out and started to be a role model that they can emulate. Am I perfect? Not a chance! Do I mess up? Absolutely! Every day! But I try. I don’t always get it right, but with God by my side, I do my best and leave the rest to Him. I Have Learned That Kids Have Feelings Too – I never really considered how the divorce affected the kids. I was so caught up in my own feelings that I never considered that the kids were hurting too. I never considered that they might be confused or have fears of their own. I have learned that, but a little late. Our kids feel the same emotions adults do. We all to often dismiss our kids feelings, but I have learned that if we ignore those feelings they will manifest themselves physically and usually not in good ways. Our kids deserve to be heard. I Have Learned To Apologize – I have already said that I have made mistakes. My kids have seen me at my worst and I have learned that even moms need to apologize. It shows that we are human. If I expect my kids to feel remorse for a wrongdoing then they need to know that there are times when we need to apologize when we blow it. I Have Learned That My Kids Aren’t Perfect – If I’m not perfect, why do I expect my kids to be perfect? As parents, we all to often, expect our kids to be perfect, to never misbehave, and to never fail. Why do we do this? We aren’t perfect! We misbehave! We fail! Why do we put these unrealistic expectations on our kids? We want better for them, but placing unrealistic expectations on them creates unneeded stress. My kids have had hard times. They have made bad decisions. I have learned that I have to grant them room to grow and learn from their mistakes. I Have Learned The Art Of Surrender – In my single mom journey I have had broken down cars or no car, I have worried about my kids, I have lived in poverty and I have wondered how I will ever survive. It has not been easy. I have struggled with trying to control everything. I have placed unneeded stress and anxiety on myself by thinking that I had to control everything. There are some things beyond our control. I have had to learn to surrender the challenges to the only one who controls ALL things: GOD. It has been one heck of a roller coaster ride! It isn’t over yet! I will always be a single mom. My kids may be adults, but they will always need me. I still have Ty to guide into adulthood. I’m sure that as they grow they will continue to teach me life lessons. You are never to old to learn and grow and my kids have been my best teachers. Thank you Cherokee, Kiowa, Cree, Talon and Ty. You five are my heart! After my divorce, I was filled with anger. I felt like I was being abandoned. My hopes and dreams lay scattered at my feet and I was furious at my then husband for what was happening. I was full of rage and I was determined to pay back the wrong that had been done to me. I’m sure you’ve been there, single mom. You are Filled with so much anger that it keeps you focused on that wrong that has been done to you. That rage takes your eyes and heart off of what’s important: your kids. It’s easy to get sucked into that hurt and anger. It is normal to feel that revenge will help you feel better. It is normal to want that person that caused you pain to suffer too. I’m here to tell you, single mom, that revenge will NOT help you feel better. I won’t go into detail about my own childish behavior, but I will tell you that my actions left me feeling guilty about the example I had set for my kids. I regretted behaving that way in front of my kids and I felt like the worst mom in the world. Did God avenge the wrong done to me? Well, sort of. In my situation, He changed my heart towards my now ex-husband. The more I trusted God and leaned on God, the more I felt my anger melt away. I still get angry at times, but I trust God to take care of the situation for me. Your saying, “well, my ex-husband beat me, he deserves everything he gets.” That may be true, but your #1 priority has to be your kids. Allow God to work in the situation. 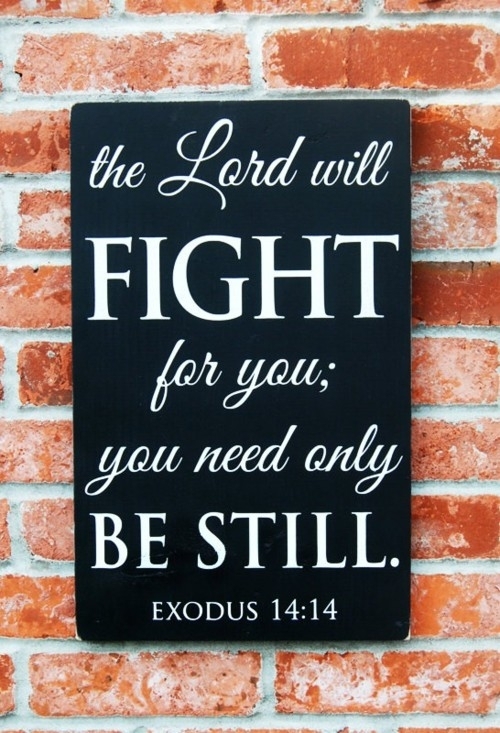 He WILL fight for you. If you focus on your children and allow the Holy Spirit to melt that anger in your heart, God will protect you and fight for you. I am NOT saying to not fight for justice in your situation. If you have to take someone to court or get a protective order to protect yourselves and your kids, then absolutely do what you need to do to protect yourself and your children. I am saying to seek justice within the law and not seek revenge based on anger and rage. Our God is a God of justice and He will bring justice in your circumstance. You are a daughter of God, He loves you and He will fight for you. My challenge to you: Allow the Holy Spirit to heal your spirit and melt the anger in your heart. There will still be times when something happens that makes you angry. If you need to seek justice within the law, then do so. Trust God to bring justice. Your kids need a mom who is at peace and is focused on doing what is best for them. Allow the peace of God to fill your home. Do not allow the anger and chaos of Satan to enter your home. Your kids feel what you feel. Let go of the hate and rage and trust God to work. If you need prayer or an encouraging word, just drop me a line via my contact form. I am always here to help, my single mom friend! How many times have I uttered these same words in my 17 years as a single mom? Too many to count. At times, crying out to God in my despair was the only prayer I could manage. Feeling that God had abandoned me and would never hear my cries for help. For years, I have wrestled with the thoughts of anger, fear, abandonment, insecurity, doubt, you name it, I have wrestled with it. I have spent years with sorrow in my heart, wondering when my situation would change. Wondering when God would deliver me from the oppression of this single mom life. Life was my enemy. My circumstances were my enemy. I eventually realized that Satan is my enemy and he loves nothing more than to see me down in the dumps and not trusting God. “Answer me, Lord! Help me! Deliver me from this oppression!” This was the cry of my heart. Still is on some days. Life is not perfect. I have my good days and my bad days. As the kids grow into adulthood, the struggles are different, but still ever present. They still need me and I still need them. I still struggle making ends meet financially. I struggle with new issues, more adult issues, that the kids are dealing with as they grow up. I struggle with when not to “parent” them but simply encourage them. I struggle with knowing when to just be that loving, listening ear. In all of this, I cry out to God for wisdom, provision and grace. Even in the times when I feel that God has left me, I guess I am still rooted deep enough, that I still trust that He loves me. I still trust that God is working in my situation, even when I try to sabotage His efforts. Even when I feel abandoned, I still have faith that He IS there, waiting for me to find Him again. In ALL things I give praise! Times of trial are simply making us stronger in our faith. When I am facing the fire, I know that this is the time to really hang on to HIM in prayer and reading His word. Life is full of trials and struggles, but our God will NEVER change. 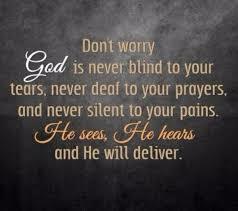 If you are crying out today, single mom, know that God hears you! Praise Him in the struggle. 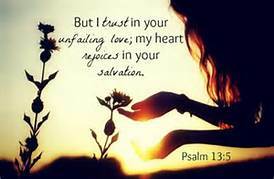 Trust in His unfailing love for you and your kids. Whatever it is, He will work it out. Keep praying and keep digging into the promises found in His word. If you need some extra prayer, contact me. I’m always here to lend an ear. There is one phrase that really jumps out at me: When the Lord saw her, his heart went out to her and he said, “Don’t cry.” His heart went out to her! She did not approach Him, but when HE SAW HER His heart went out to her. 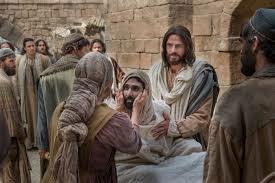 Jesus has a heart for the widow. Jesus has a heart for the single mom. He knew her circumstances and He cared about her. He told her not to cry, revived her son and gave him back to his mother. There have been many times in my journey as a single mom when Jesus has worked on my behalf before I prayed about the situation. There are times when I don’t think about praying for a specific situation and God works in that situation anyways. He does it because He loves me. He does it because He knows my heart. He does it because His heart goes out to those who are in need of a miracle. 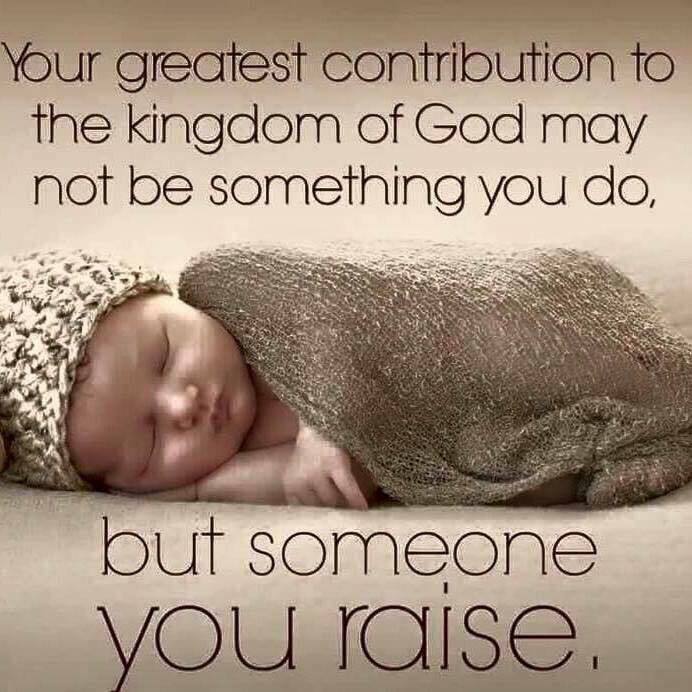 Whatever the circumstances of your life, know this single mom: Jesus has a heart for you and He is ready to perform a miracle in your life and the lives of your children. Dry your tears, hold your head up and trust in the miracle maker. Why Are You Afraid, Single Mom? I didn’t wake up one morning and decide that my life would be better as a single mom. I doubt that any of us was thrilled at the prospect of being a single mom, but that is where life has taken us and I for one was more than a little afraid. I was afraid of ending up homeless. I was afraid of losing my job, because my car broke down, again. I was afraid that I wouldn’t be a good enough mom. I was afraid that in my own messed up mental and emotional state that I would cause irreparable damage to my kids. I was afraid that I was in this single mom journey alone. I was scared and I felt like no one in the world cared if I failed. It has not been easy. I still struggle paycheck to paycheck. In the effort of being transparent, 2015 was the first year I made $20,000.00. I live in poverty. I try to baby my car, because it seems to always be on the verge of breaking down. My kids are getting older and their lives are getting complicated, so I try to find the right words of wisdom to parent them by. My youngest is now 15 and I feel the nudging of the Holy Spirit calling me into a new season of life. Life as a single mom is a struggle. It has NEVER been easy. But, in that struggle I see the many ways that God has shown up as my heavenly Husband to provide for us and protect us. Even in the chaos, I see the blessings of God all around me and I am forever grateful that He has had mercy on this single mom. I know that life as a single mom comes with a certain amount of fear. We are expected to provide and protect our children on our own. We look at families with two parents and think to ourselves, “how am I ever going to make this work?” You WILL make it work. We have too, because no one can do it for us. Our children depend on us to take care of them. Trust the ONE who loves you. Trust the ONE who loves your children. Your heavenly Husband is waiting to take the burden off of your shoulders, if you will let Him. God can take those problems, those worries, those cares, those fears, that you have been carrying around and He will carry them for you. Trust Him to partner with you in this single mom life. If you have read any of my blog posts, you will see that worry is still something I struggle with. I am getting better at knowing what I can’t control and surrendering it to God. He is in control. He controls ALL things. Why worry about something that I can do nothing about? Sometimes, this is an hourly challenge; laying my worries and fears and the feet of the ONE who loves me. The peace I feel when I give it to God is immeasurable. 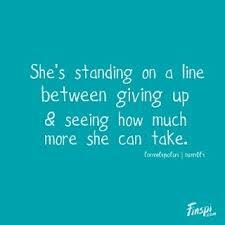 Why do I insist on hanging onto something I can do nothing about? It just makes me crazy in the long run. Have faith, single mom! Trust God in your struggle. Give the worries and fears to Him, even if it is minute by minute. Eventually, your faith will grow and you will begin to see that God IS faithful. My faith has grown. I am still a work in progress, but I have come a long way in the 16 years I have been a single mom. I want you to reflect on the question that Jesus asks His disciples, “Why are you so afraid?” I want you to list your fears, as a single mom, in a journal or a piece of paper and give them to God, one by one. Read the fear aloud and say, “I trust you, my heavenly Husband to take care of _________ and I surrender it to you.” If you would rather use your own words, go for it! The point is to let go of our fears and allow God to share the burden with us. He is our partner. A partner who will NEVER let us down. I was devastated after my divorce. My husband had left me for another woman and I felt alone, angry and heart broken. For a few years, I agonized over the fact that no one seemed to “want” me. I saw other single women who had no problem finding men and I wondered what was wrong with me. I was at a single moms weekend in June of 2006 and Lori Little (21 Principles of a Healthy Single Mom) was there. I ordered her DVD set and went through each lesson many times over the next several months. In Principle #2 Identity, Lori tells us how God really feels about us. In this lesson, I learned that I am the apple of God’s eye. I am cherished by the Almighty God. WOW! These verses really started to make an impact on me and my heart started to heal from feeling like no one could ever love someone like me (a divorced, single mom with 5 kids). I came to realize that it didn’t matter what men thought about me, God loves me and you know what? Nothing else matters. Knowing that God loves me became enough for me. I am the apple of God’s eye, I don’t need a man to tell me that I am worthy of love. I know I am worthy of love! 13 She gave this name to the Lord who spoke to her: “You are the God who sees me,” for she said, “I have now seen the One who sees me.”14 That is why the well was called Beer Lahai Roi[b]; it is still there, between Kadesh and Bered. The same El Roi who met Hagar in the wilderness is waiting to meet you in your heartache. El Roi (the God who sees me) is waiting to show you that you are the apple of His eye. He sees you in your pain. He sees how you try to fill the void with relationship after meaningless relationship. Our God is a compassionate God and He wants so much for you to know that YOU are the apple of His eye. If you are single right now, I want to challenge you to seek God first, before you jump into another relationship. Do your own research and find out what God says about YOU in the Bible. El Roi sees YOU and YOU are the apple of His eye! I still struggle as a single mom, but I will be forever grateful to Lori Little for giving me the kick in the rear-end I needed to put God first in my life as a single mom. I highly recommend every single mom to read her book or buy the DVD series, 21 Principles of a Healthy Single Mom. I have both! To visit Lori’s website, click here and to buy the book from Amazon, click here. God Bless you, single mom!